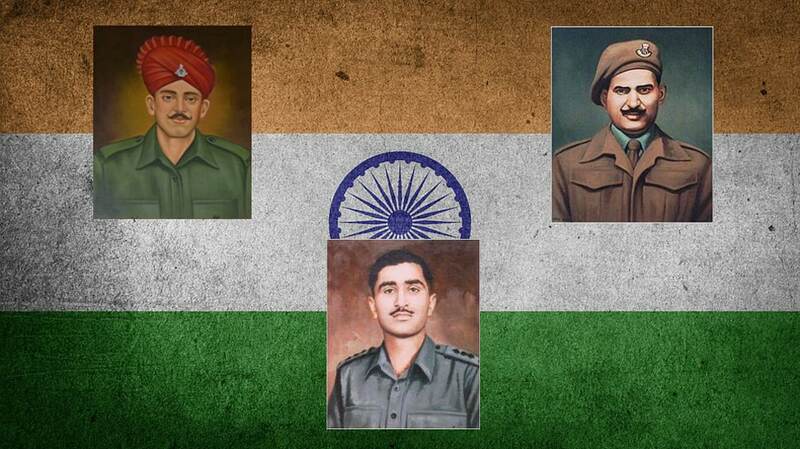 As India marks its 72nd Independence Day on Wednesday, the country also remembers the bravehearts. 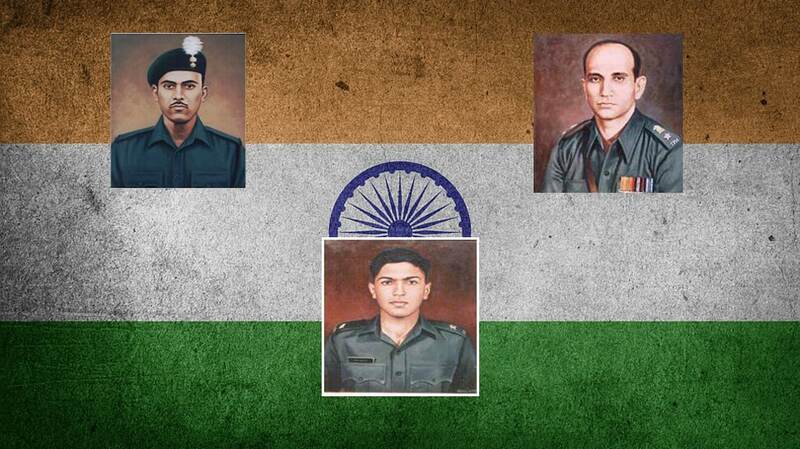 As India marks its 72nd Independence Day on Wednesday, the country also remembers the bravehearts who not just fought for the motherland but even laid their lives in the line of duty. They took on the enemies and displayed unparalleled bravery whether on land, at sea, or in the air. 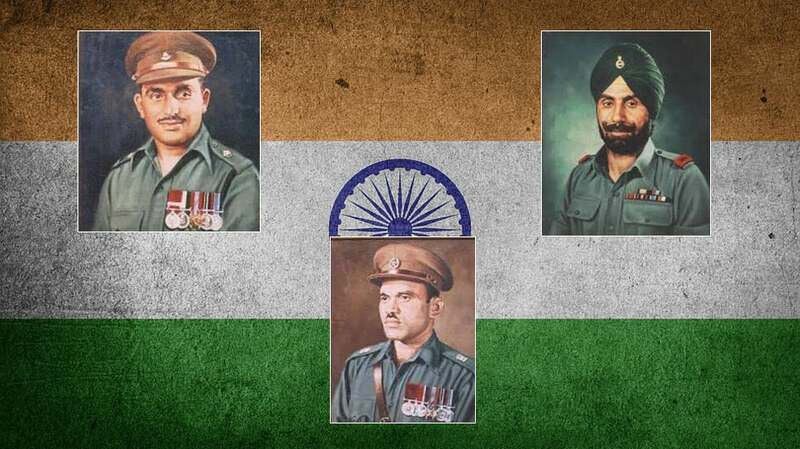 And for their service to the motherland, they were awarded with Param Vir Chakra, the highest gallantry award for armed forces personnel. 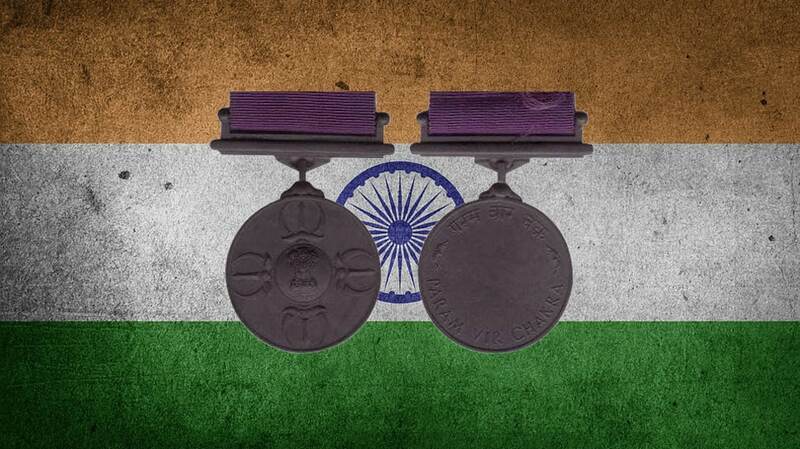 The Param Vir Chakra is awarded for most conspicuous bravery or some daring or pre-eminent act of valour or self-sacrifice, in the presence of the enemy. Circular in shape, made of bronze, one and three eighth inches in diameter. On obverse, there are four replicas of ‘Indra’s Vajra’ with the State Emblem (including the motto) embossed in the centre. On its reverse, it shall have embossed Param Vir Chakra both in Hindi and English with two lotus flowers between Hindi and English. 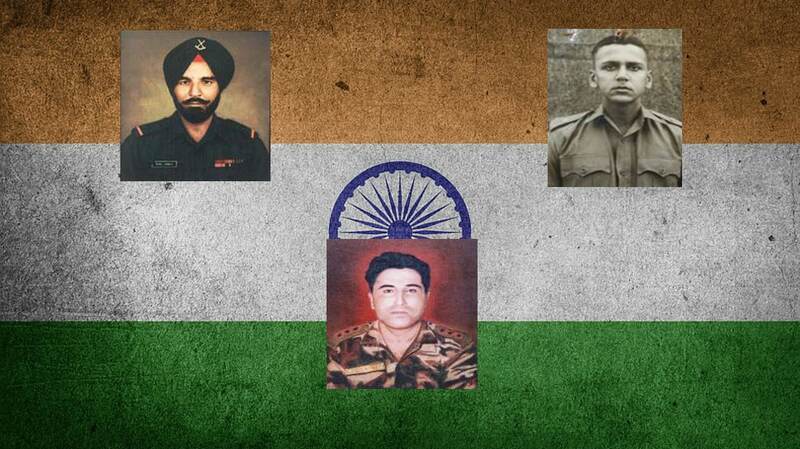 Among the first three winners of Param Vir Chakra were Major Somnath Sharma (top left), Lance Naik Karam Singh (top right) and 2/Lieutenant Raghoba Rane (centre). Major Sharma of Kumaon regiment was awarded Param Vir Chakra (Posthumous) for an act of gallantry in J&K. Lance Naik Karam Singh of the Sikh regiment was also awarded for act of gallantry in the same region. 2/LT Rama Raghoba Rane of the Engineers unit was also awarded the Param Vir Chakra. Naik Jadunath Singh (top left) of the Rajput Regiment was awarded the gallantry honour posthumously in 1950. He took on the enemy while guarding a forward section post, despite most of his men getting injured in an onslaught. What looked like an impending defeat was turned into victory due to his leadership and supreme heroism. Company Havildar Major Piru Singh (top right) of the Rajputana Rifles got the honour in 1952. He was directed to attack the enemy and capture a hill occupied by them. Despite losing most of his men, he managed to capture two trench and was later shot in the head by the enemy. Captain Gurbachan Singh Salaria (centre) of Gorkha rifles received the gallantry honour in 1962. During an operation to clear up a road block, Captain Salaria killed 40 personnel of the enemy and knocked out two armoured cars. He made the enemy flee the area. Major Dhan Singh Thapa (top left) of Gorkha Rifles was awarded the Param Vir Chakra in 1962. He was in command of a forward post in Ladakh, which came under attacked by Chinese army. Under his command, the army unit repulsed the army attack and caused heavy losses to the enemy. Later when the Chinese troops returned with tanks, he got out of his trench and killed many of them. Subedar Joginder Singh (top right) of the Sikh Regiment also received the gallantry honour the same year. In another Chinese aggression, Subedar Singh took on two waves of attacks, and later charged the advancing third wave of Chinese soldiers, inflicting major losses to the enemy. Major Shaitan Singh (centre) of the Kumaon Regiment received the award in 1963. While commanding a company of an Infantry Battalion at Razangala, he came under attack from Chinese forces who used heavy artillery, mortar and small arms. He moved from one platoon post to another to encourage his men, and give a befitting response to the enemy. After he got seriously wounded, he ordered his men to leave him to his fate in order to save their lives. Company Quarter Master Havildar Abdul Hamid (top left) of 4 Grenadiers got the gallantry honour posthumously in 1965. He took on Pakistani soldiers with his gun mounted on a jeep, under intense enemy shelling and tank fire. He knocked out several army tanks. His act of bravery inspired his comrades to beat back the heavy tank assault by the enemy. Lieutenant Colonel Ardeshir Burzorji Tarapore (top right) also got the honour posthumously the same year. Under his leadership, the armymen destroyed at least 60 enemy tanks at the cost of just nine tanks casualty. The operation lasted for six days and he led it from the front. 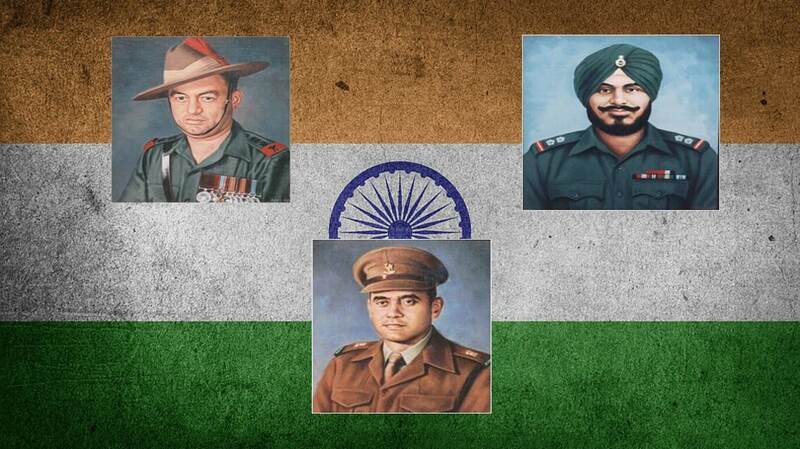 2/LT Arun Khetarpal (centre) of 17 Horse unit received the honour posthumously in 1972. He physically over ran the enemy, capturing their infantry and weapon crews at pistol point. He went on to personally destroy four enemy tanks. Major Hoshiar Singh (top left) of Grenadiers was decorated with the honour in 1972. He was ordered to capture an enemy locality, which was held in strength by them. During the operation, he indulged in hand to hand fight with the enemy and under his leadership, the unit repulsed all attack inflicting heavy casualties on the enemy. 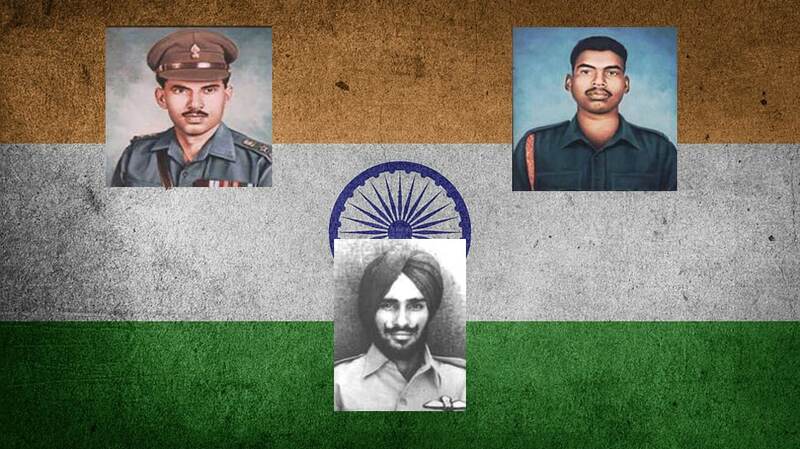 Lance Naik Albert Ekka (top right) got the Param Vir Chakra (posthumous) the same year. He was part of a company given the charge to capture Gangasagar on the Eastern Front from the enemy. During the operation, he indulged in hand to hand fight with the enemy and later even crawled to the army location and destroyed their guns to save his fellow armymen. He ensured the success of the attack. Flying Officer Nirmal Jit Singh Sekhon (centre) was also awarded in 1972. On 14th December, 1971 Srinagar airfield was attacked by a wave of six enemy Sabre aircraft. Flying Officer Sekhon was on readiness duty at the time. In spite of the mortal danger of attempting to take off during the attack, Flying Officer Sekhon took off immediately and engaged a pair of the attacking Sabres. In the fight that ensued, he secured hits on one aircraft and set another on fire. He was eventually overcome by sheer weight of numbers. His aircraft crashed and he was killed. Naib Subedar Bana Singh (top left) of Jammu and Kashmir Light Infantry got the Param Vir Chakra in 1988. He volunteered to be a member of a task force to clear an intrusion in the Siachen Glacier area at an altitude of 21,000 feet. Moving from trench to trench and lobbing hand grenades, he cleared the post of all intruders. Major Ramaswamy Parameswaran (top right) of Mahar Regiment got the honour in 1988. While returning from a search operation in Sri Lanka, his column was ambushed by a group of militants. He encircled the militants from the rear and took them by surprise. Even after being shot in the chest, he continued to guide his men till he breathed his last. Captain Vikram Batra (centre) of Jammu and Kashmir Rifles received the gallantry honour posthumously in 1999. In an operation as part of Operation Vijay, Captain Batra killed five enemy soldiers in a hand to hand fight at point black range. He achieved a near impossible task in the face of heavy enemy fire. 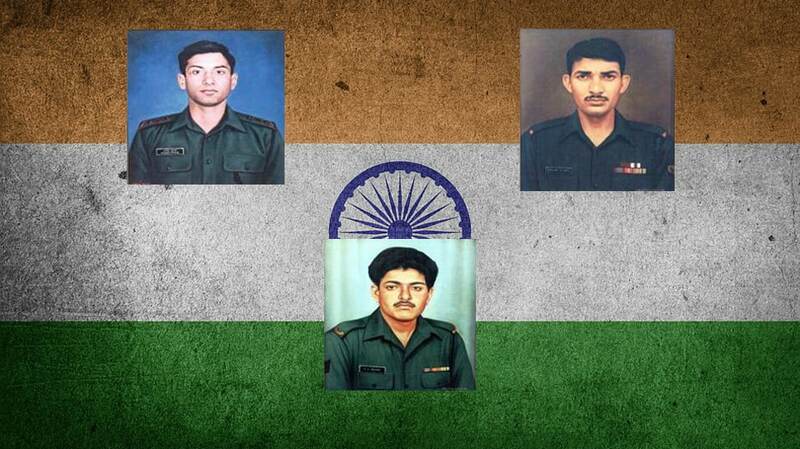 Lieutenant Manoj Kumar Pandey (top left) of Gorkha Rifles got the Param Vir Chakra (posthumous) in 1999. He was a part of series of attacks during Operation Vijay, forcing back the intruders with heavy losses. Rifleman Sanjay Kumar (top right) of 13 Jammu and Kashmir Rifles got the honour the same year. During an operation to capture a point in the Mushkoh Valley, he indulged in hand to hand combat and even chased the enemy, using their machine gun and killed many of them even as they fled. Yogender Singh Yadav of 18 Grenadiers was also awarded with Param Vir Chakra. He was part of leading team of Ghatak platoon tasked to capture Tiger Hill. He took charge and fixed rope for his team to climb up the hill. Amid intense firing, he crawled up to the enemy position, sustaining multiple injuries.